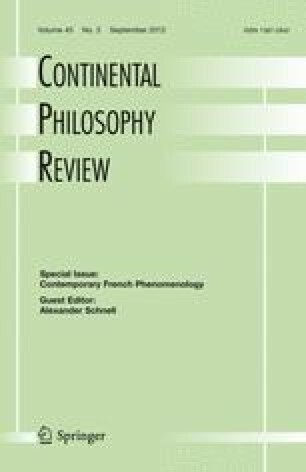 This essay tries to account for a certain “speculative turn” in contemporary philosophy (Q. Meillassoux, G. Harman, M. Gabriel, etc.) from a phenomenological point of view. A first objective of it will consist in exposing the link between, on the one hand, the methodological sense of Husserl’s concrete phenomenological analyses (concerning, for example, time and intersubjective structure of transcendental subjectivity,) and on the other hand, the consequences that follow from the grounding of phenomenology as first philosophy. This will allow a largely underestimated research angle to be opened up, one that I call a “constructive phenomenology,” that constitutes an essential and original figure of transcendental philosophy in general. A second objective will then consist in the attempt to sketch the foundation of knowledge as knowledge, the core of a “phenomenological metaphysics.” Whereas the first part will remain within a Husserlian framework, the second will develop some elements of a “speculative transcendentalism” in a phenomenological perspective. This essay is translated by Mary Beth Mader, University of Memphis, Department of Philosophy (mmader@memphis.edu).